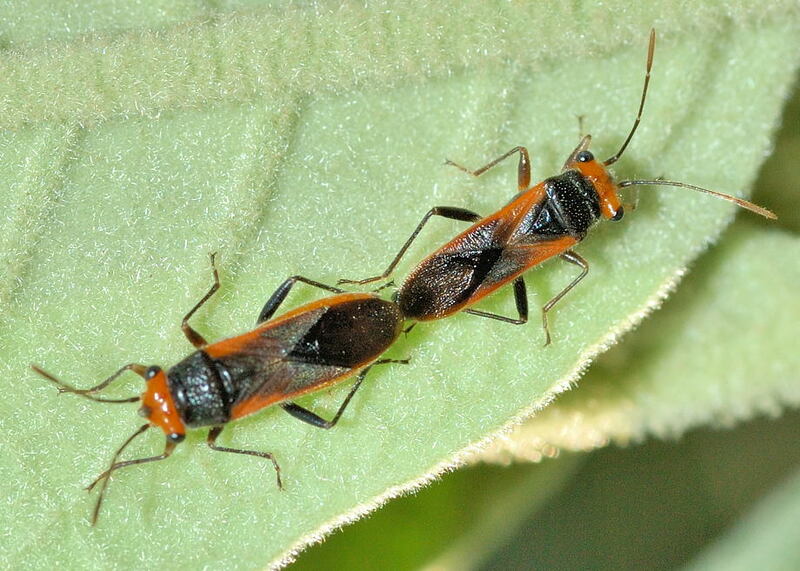 This page contains pictures and information about Wild Tobacco Stalk-eyed Bugs that we found in the Brisbane area, Queensland, Australia. 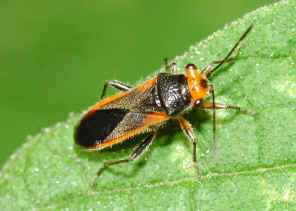 This small bug runs fast when disturbed. It is black with orange-red background colour. 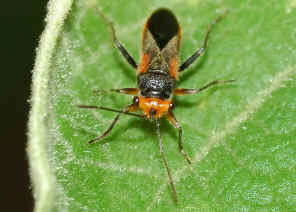 As the common name suggested, the eyes carried on distinct stalks. 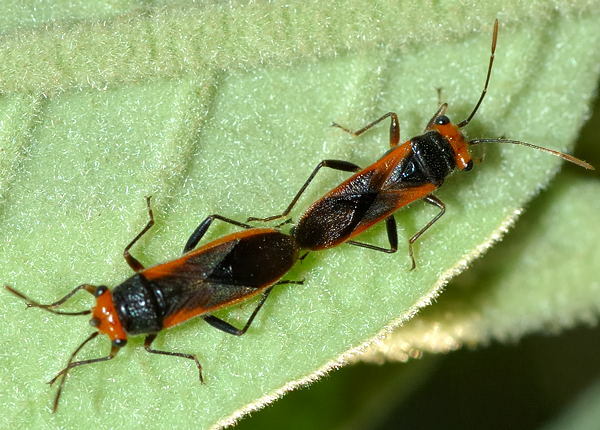 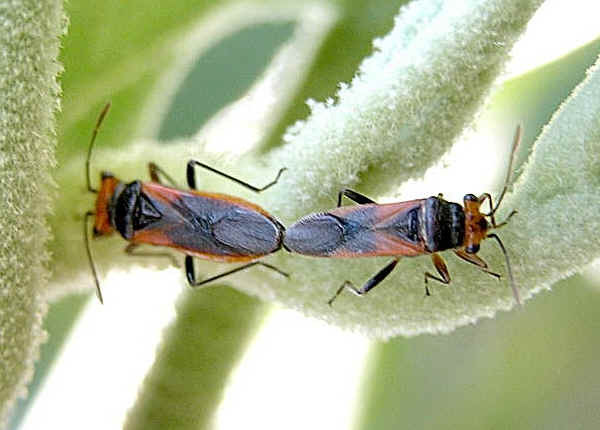 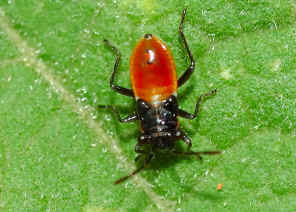 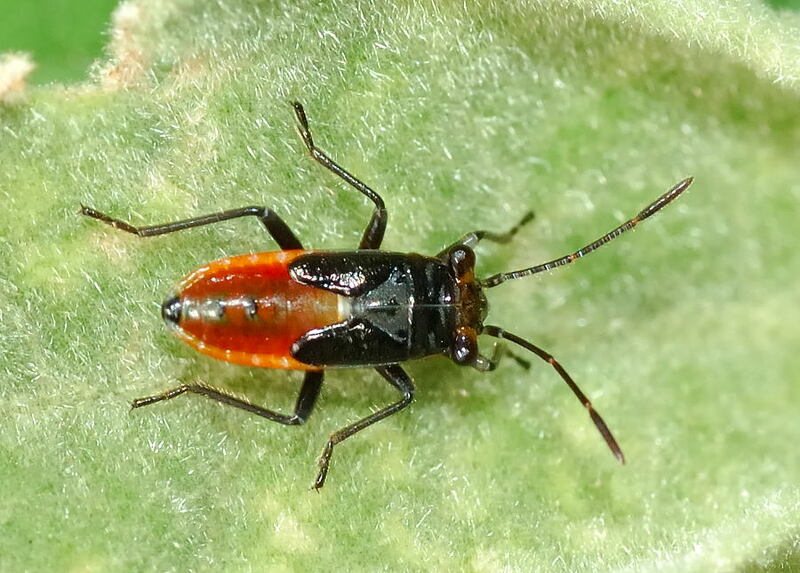 These bugs were alway found on Wild Tobacco Solanum mauritianum. They are common in Brisbane bushlands. 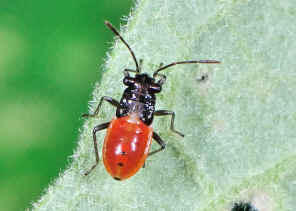 The nymph was found together with the adults above.